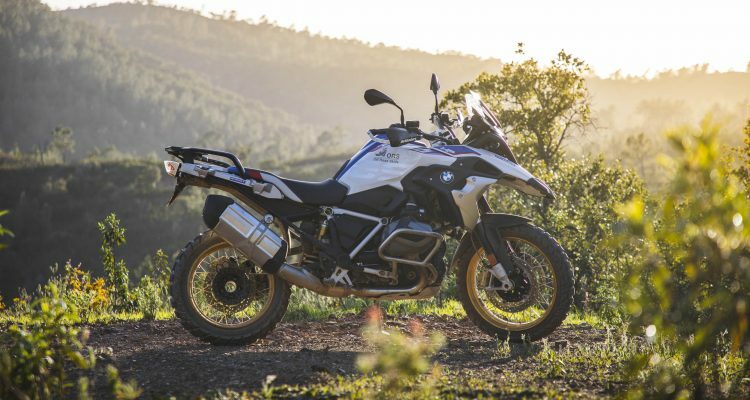 Adventure riding kit has as much demand for flexibility and performance put upon it as the bikes, often with a similarly eye-raising price tag. 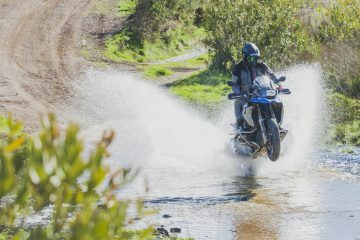 But in the Rev’IT Sand 2, the dutch brand has an option for those who want decent adventure kit for less than the cost of a second hand KLR. 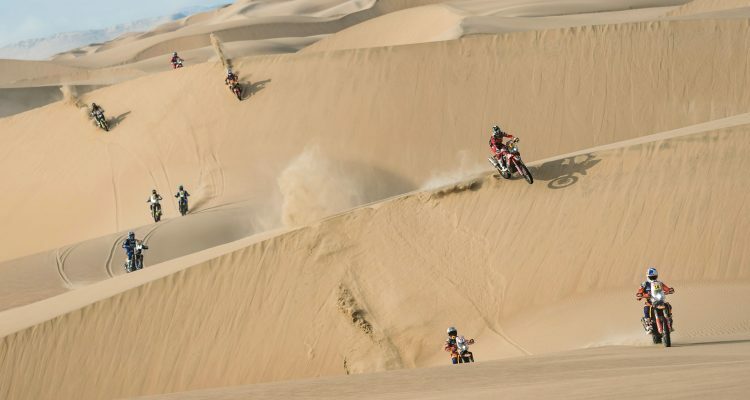 Hmm, now should I go on a two-week riding holiday in Utah’s epic desert terrain, powering up slick red rock climbs and blasting across sand dunes, or should I buy a jacket and some trousers? 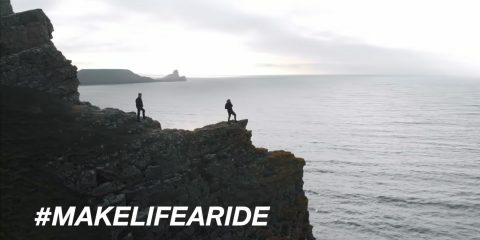 That’s a genuine budget decision that faces you if you go out and buy high-end adventure kit. I’m not trying to be a miser here; I fully appreciate that ultra-high performance kit can justify a two-grand price tag. 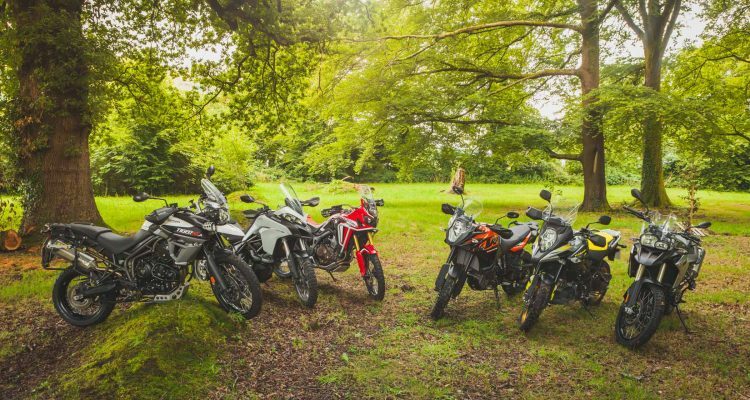 However, if your budget means spending that much on kit leaves you no money to go out and ride those adventures you’re dreaming of, surely the point has been missed? Well, thankfully, there is still plenty of kit in the sub-stratospheric price range and Rev’it makes some of the nicest. 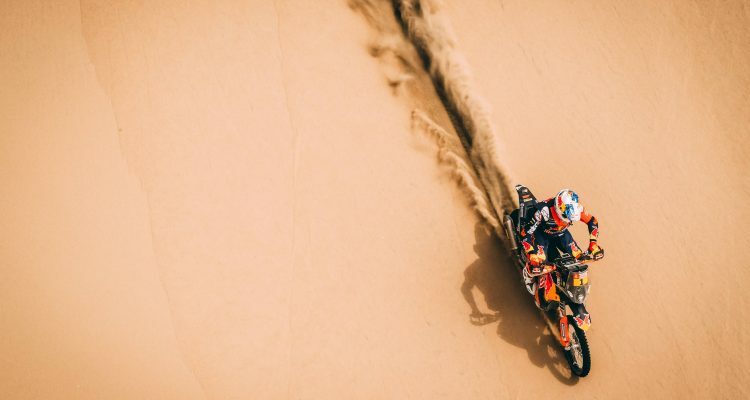 We love the look of the Sand 2. And the neck brace integration. 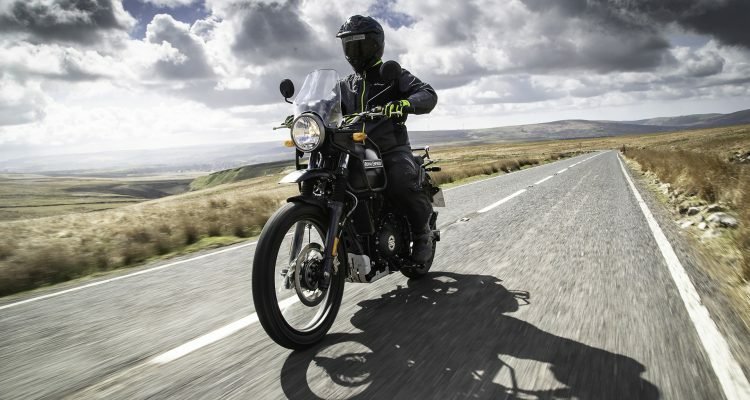 The Rev’IT Sand 2 jacket/trouser/glove combo comes in at a palatable £625 (£299.99 for the jacket, £220 for the trousers, £75 for the gloves), ticks all the ‘must have’ boxes and manages to squeeze in a couple of useful innovations too. 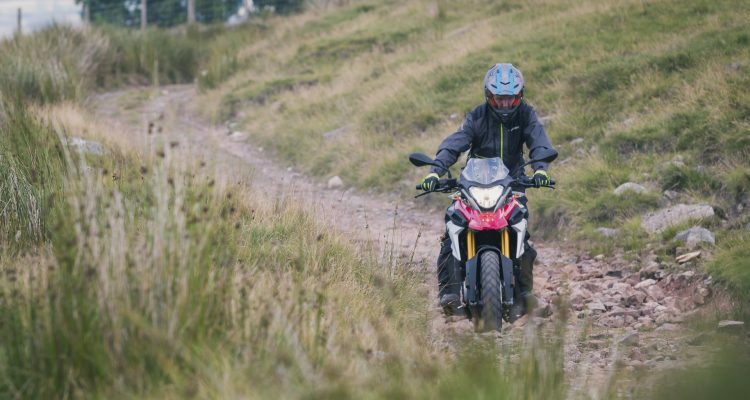 We’ll start with the musts – what does adventure kit have to do? 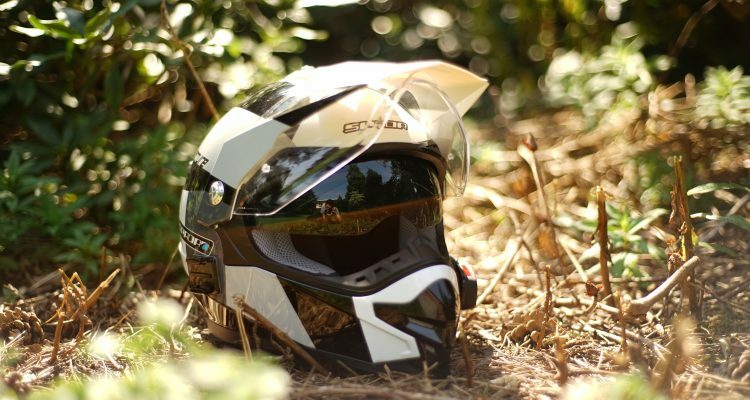 First and foremost has to be protection – if protection didn’t matter, we’d all be happily riding around in board shorts and thongs all summer. 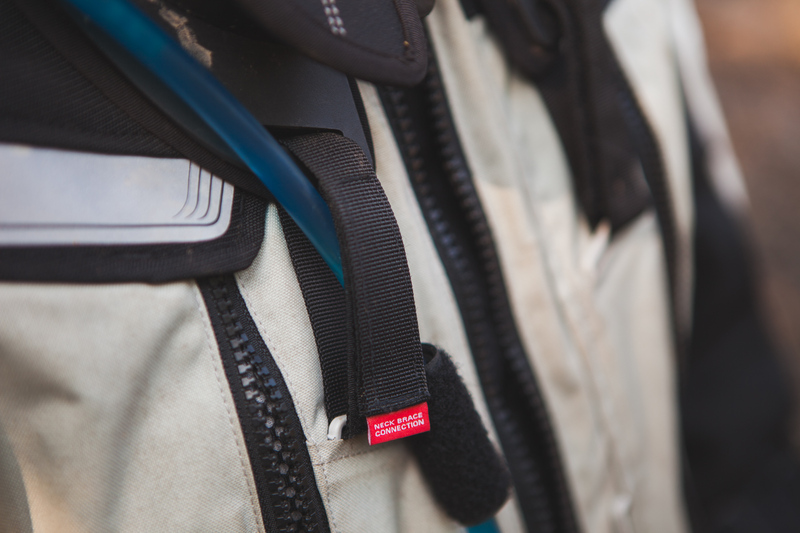 The Sand 2 kit comes with CE-approved armour at all the sticky-out bits of the body – elbows, knees and shoulders. 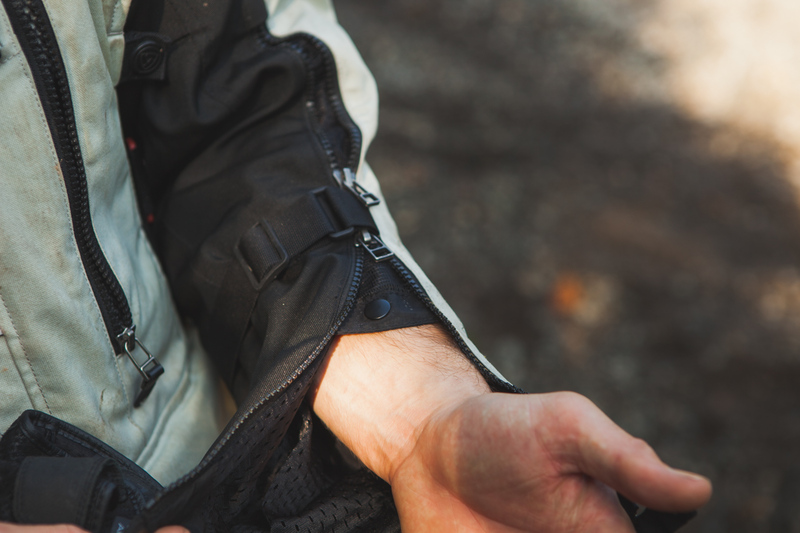 The stuff in the jacket sits nicely in place and the adjustable sleeve straps help you secure it if you prefer a tighter fit. The knee armour wasn’t quite so snug on my legs; it worked perfectly for kneeling down to pull brambles out of the rear wheel, but as soon as I stood up on the pegs, its attention shifted to protecting my shins. 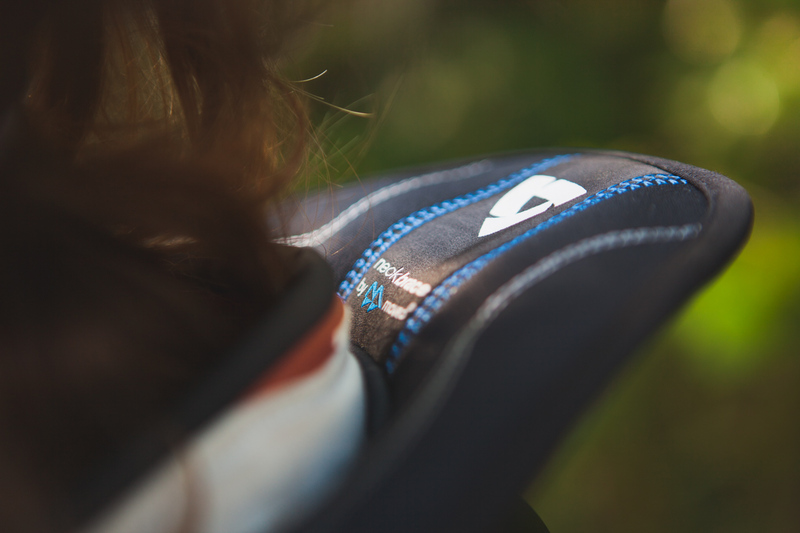 No back protector as standard always niggles for me, but that’s commonplace in jackets this price and higher. 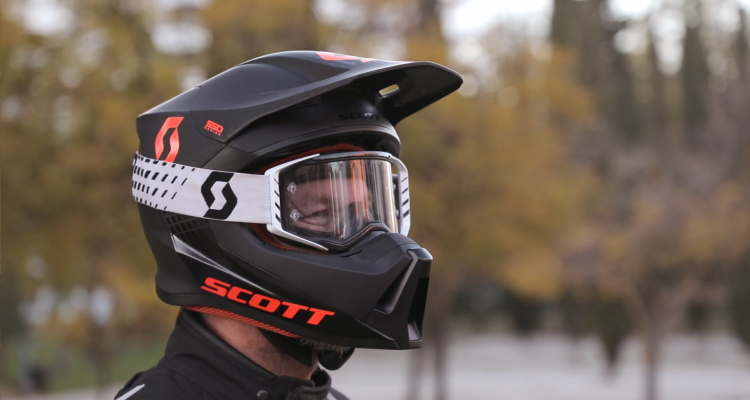 And all is redeemed by the neck brace-compatible collar, along with tags to secure either Leatt or Moveo braces to. 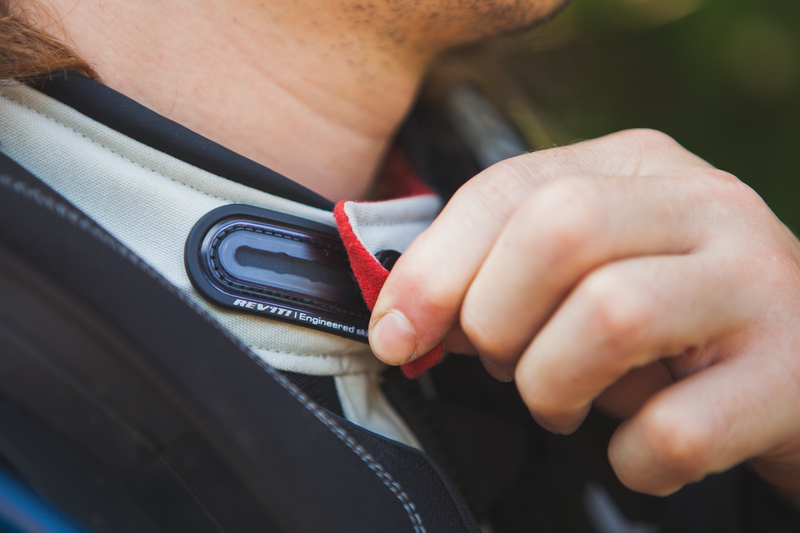 We had the Rev’it by Moveo neck brace system fitted and loved the fact that it has a front opening clasp that allows you to take it on and off with the jacket. 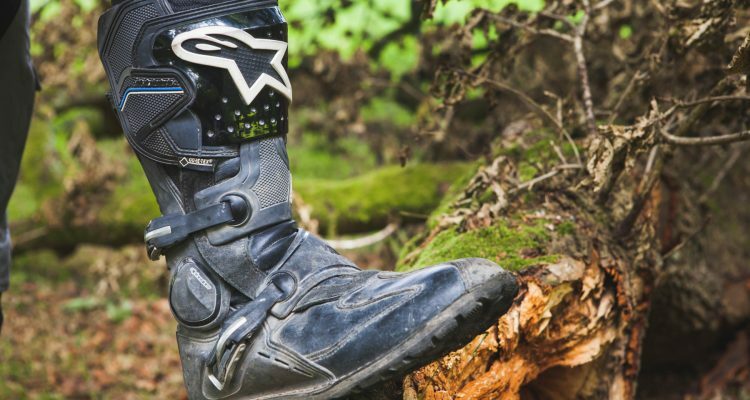 The brace itself doesn’t feel as well made as the Leatt, but the fact that you can leave it attached to the jacket means you’ll wear it every ride. A little adjusting and fine tuning to get the neck brace position right and I barely noticed it was there. 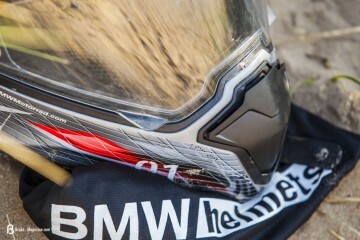 It’s not as well made as a Leatt. 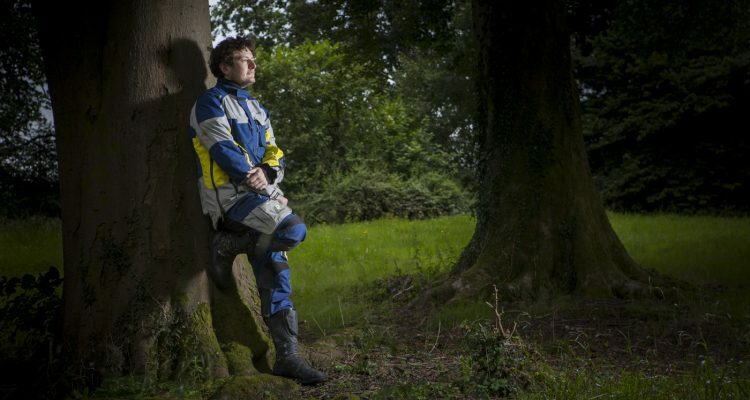 The neck brace opens with the jacket. And stays in place well. Once I’m happily protected, the next task the kit has is to keep me warm. Or cool. Or dry. Or some combination of the three. 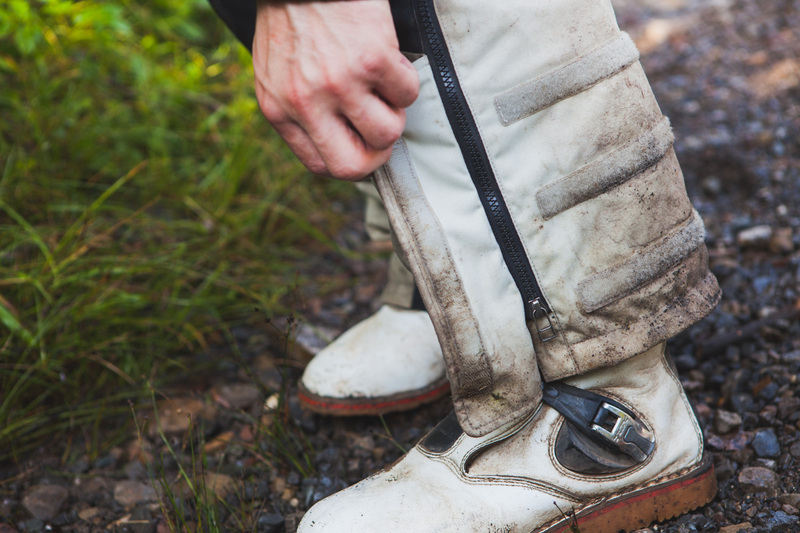 That’s a lot to ask from one item of clothing and the Rev’it gear tackles this with a multi-layer system. 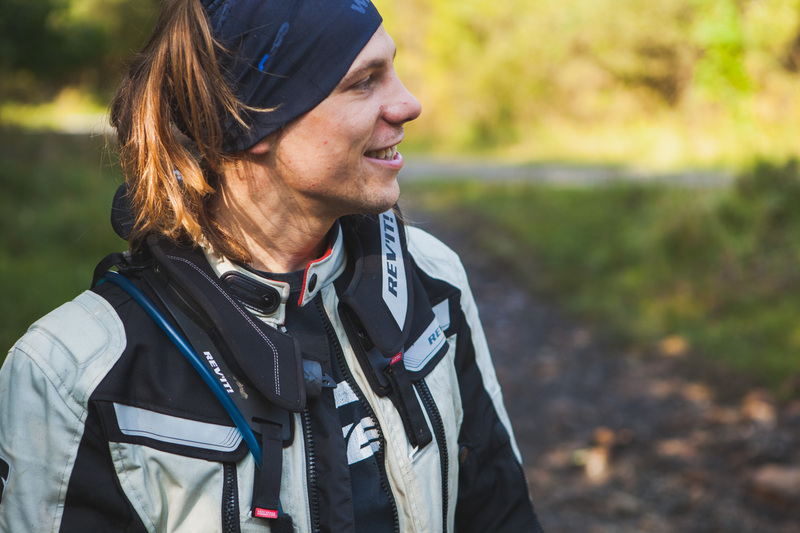 The main jacket has vents in the sleeves, chest and back that work well, especially once you’ve escaped the trail and got a bit of wind flow going. 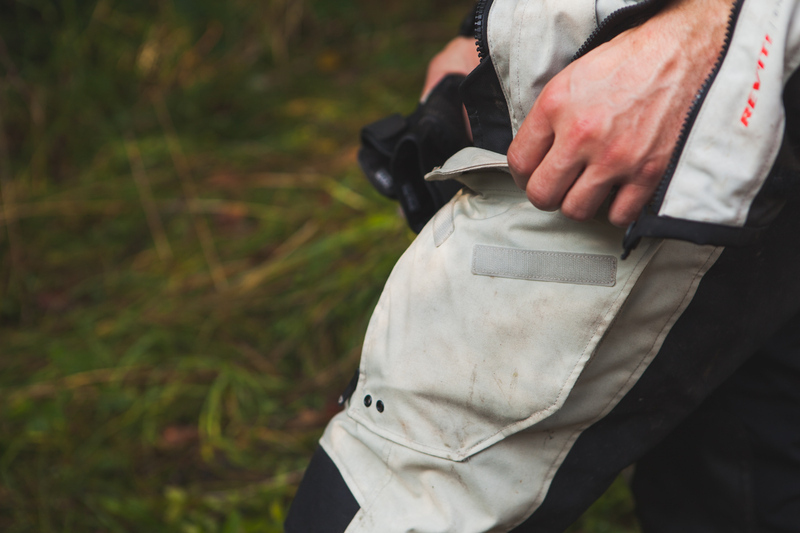 The sleeve vents go right down to the wrists and double up as a handy opening seam when you want to get your gloves sorted inside your sleeves. Then there’s a waterproof liner that zips in and another thermal liner that zips in after that. 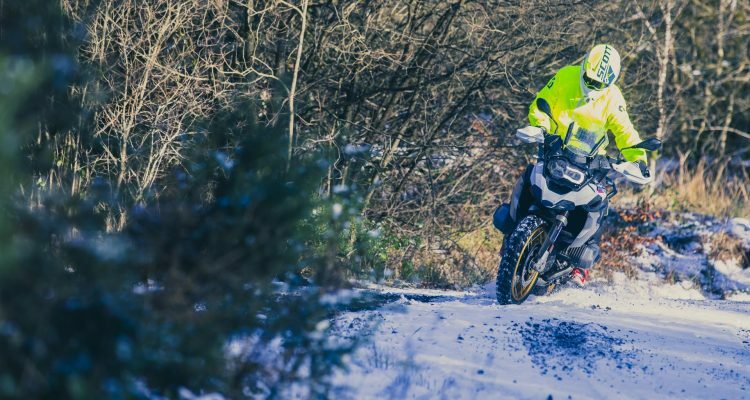 It may seem like a lot of complexity, but the layers are easy to fit or remove, they stash in the rear pocket of the jacket and allow the kit to cope with a wide range of temperatures, weather and riding conditions. Tight trails on a hot day, bung all the liners in the back and regulate your temperature with the vents. Then after an end-of-trail meal and tasty beverage, you can stick the thermal liner in for the chilly night ride home. 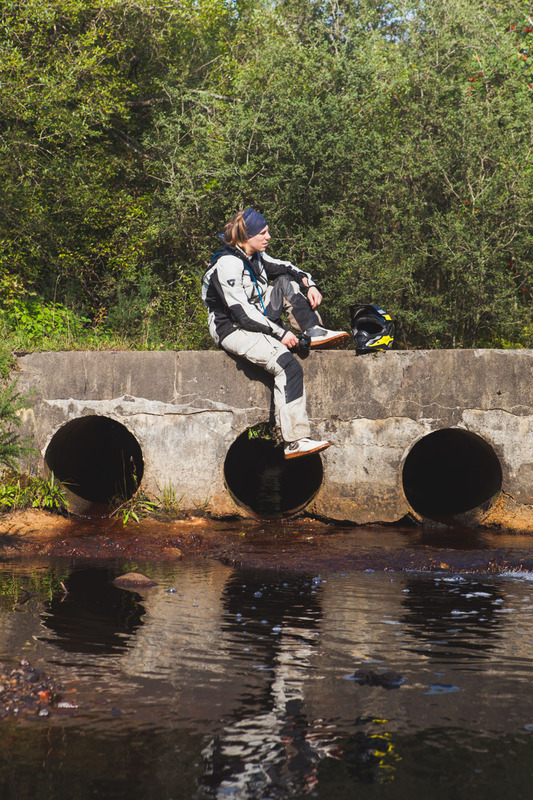 The only conditions I struggled for comfort in were warm, wet days. The waterproof liners are pretty sticky once you get a sweat on and not too comfortable without base layers between you and the kit. The neck closure is adjustable. The details are extremely nice. I mentioned useful innovations earlier and the neck-brace attachment is definitely a new thing and definitely useful. 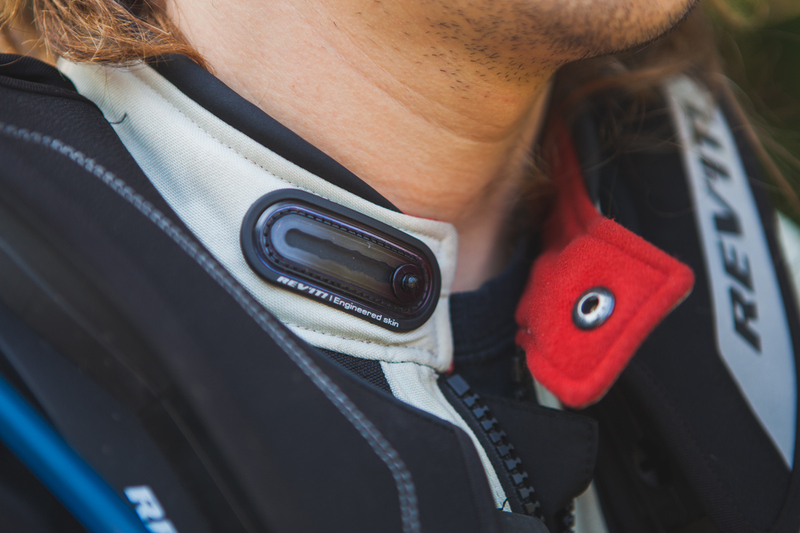 Likewise, the adjustable neck collar works better than a lot of far more expensive jackets I’ve tried, letting you set the collar easily to suit how hot it is or how many hundreds of neck warmers you’re wearing. 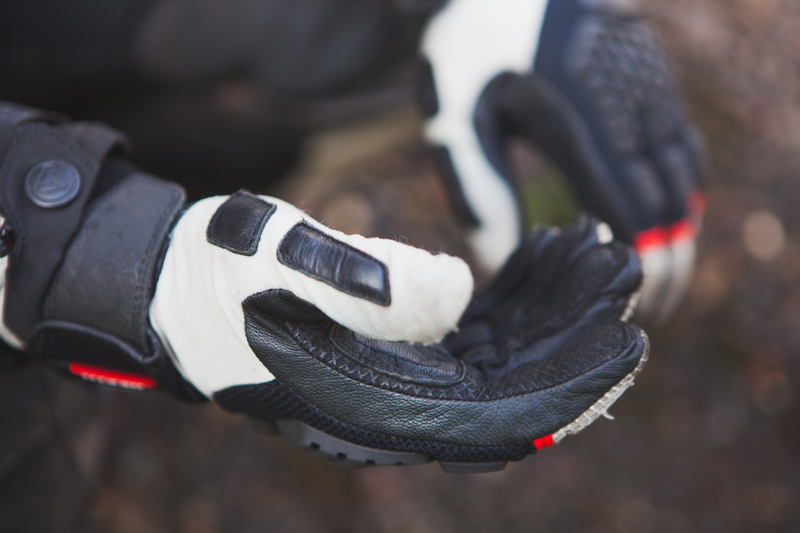 Gloves, now here’s an area that riders seem to fall into two categories on. 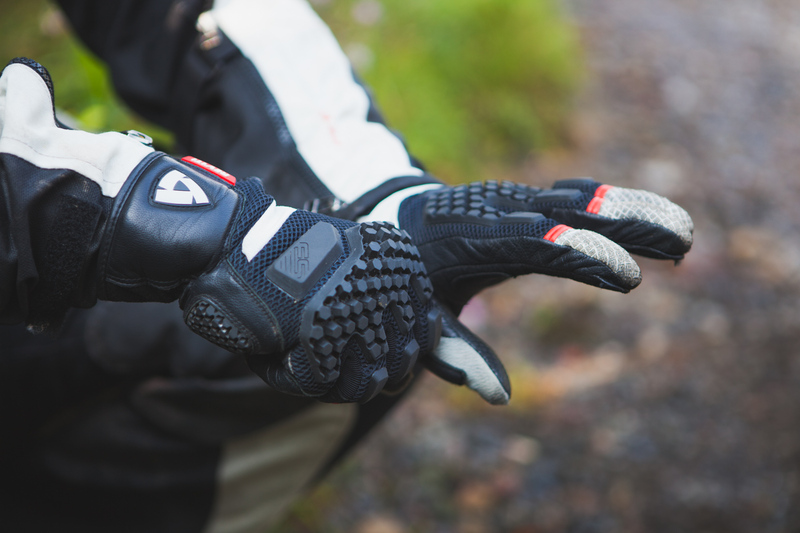 At one end, you’ve got guys like my father who will go circuit racing in winter mittens, or do an enduro in £300 road racing gantlets – they really don’t care what their pinkies are in. And at the other end of the spectrum, you’ve got the princess and pea types like myself and the Brake mag El President Llel. We’ll feel a dropped stitch in the finger stitching in an instant and the poor old glove instantly cops the blame for arm pump, stalls, global warming and anything else we can think of. 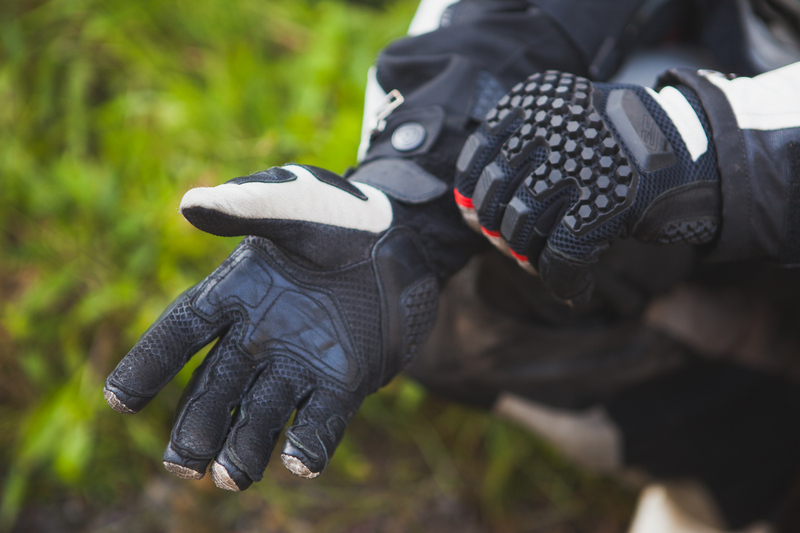 Thankfully for Rev’it, the Sand 2 gloves were just right – enough protection to keep you happy on fast road rides, but enough feel and dexterity to nurse an 1150 GSA down a slimy, chalk rut. Llel felt like the left glove was slightly smaller than the right; didn’t feel it myself, so one of us clearly has weird hands. The gloves well designed and offer good feel. The knuckles don’t intrude at all. 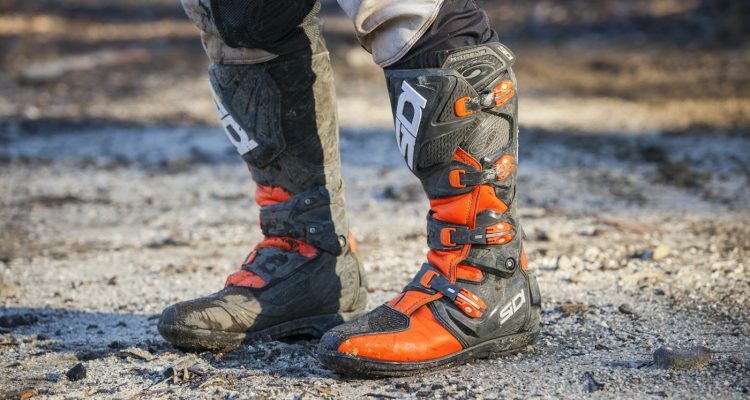 And they’re very comfortable for all riding. After a few weeks ripping around in the Rev’IT Sand 2 kit, I was pretty damn stoked on the performance and flexibility. It kept me dry on rainy days, I could always fiddle with liners and vents to find a decent temperature and the neck brace permanently attached meant I was always ready for a good faceplant. 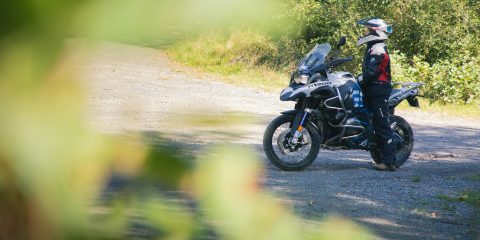 So, smug in my fancy, reasonably priced kit, I set off on a proper bike ride – 150 miles of motorways, sweeping A-roads and sketchy B-roads to ride dirt trails with some enduro-riding buddies for a few hours and then back again. 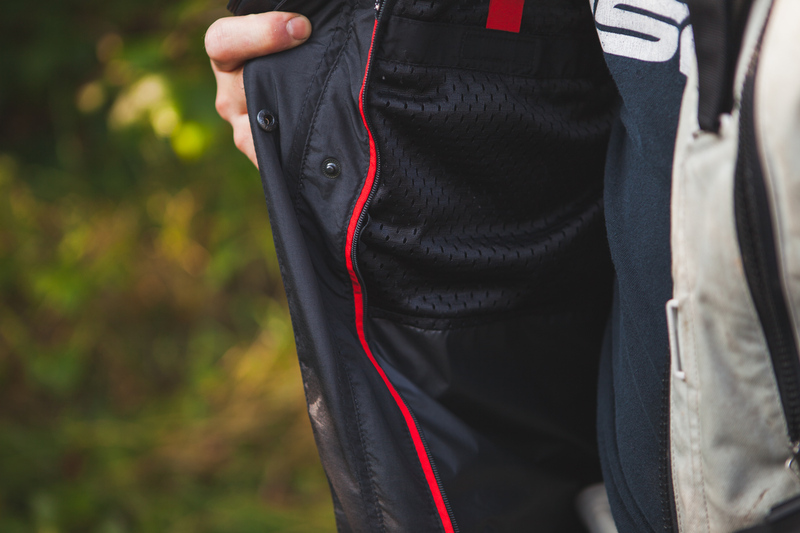 Black sky – vents shut, waterproof liners in and normal bike kit faff extended by a few minutes to ensure all cuffs, zips and flaps are secure against the rain. Do your worst my precipitous friend. Ah, there it is. That sinking feeling as I realise the rain has blagged its way through waterproof border control and is now happily working to lower my core temperature. 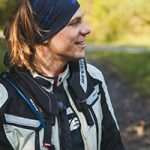 I check the GPS, more out of desperation than anything else – I’m fully aware that there’s another four hours of riding to go. Five if you include hourly stops to molest hot-air hand dryers at the services in a futile bid to dry my groin. Five hours of piddling rain and, inexplicably, the waterproof layer has failed me. 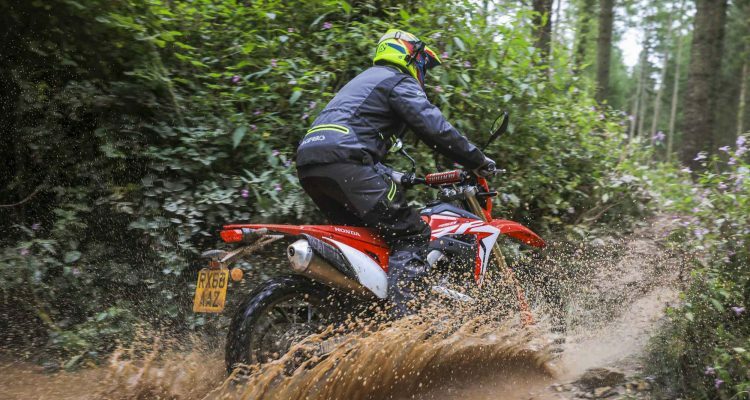 Despite many good performances before and since, the mixture of high-speed rain blast and steady trail riding in a monsoon was too much for the liners. I won’t lie, the 150-mile ride home, wet through to the skin before I started did make me a teensy bit grumpy. 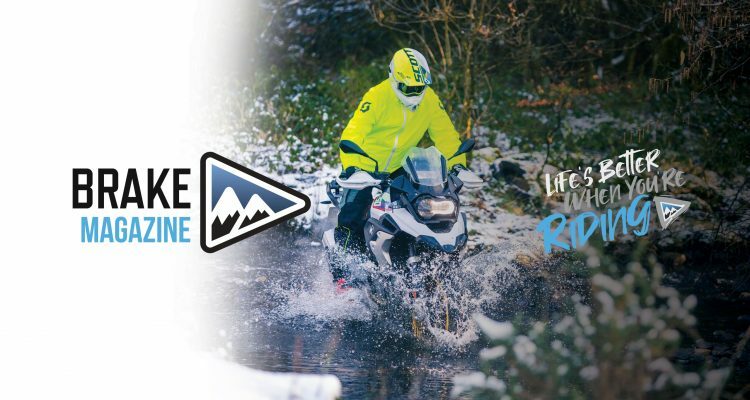 For ultimate rain kit, you really can’t beat either an over jacket, or kit that has its waterproof layer on the outside. The waterproof liner did a valiant job, but after so long and so much movement in the waterlogged outer jacket, poor Chris got a soggy tummy, leaving a dribbly black mark on the Sand 2’s otherwise spotless report card . The wrist closure is awesome. 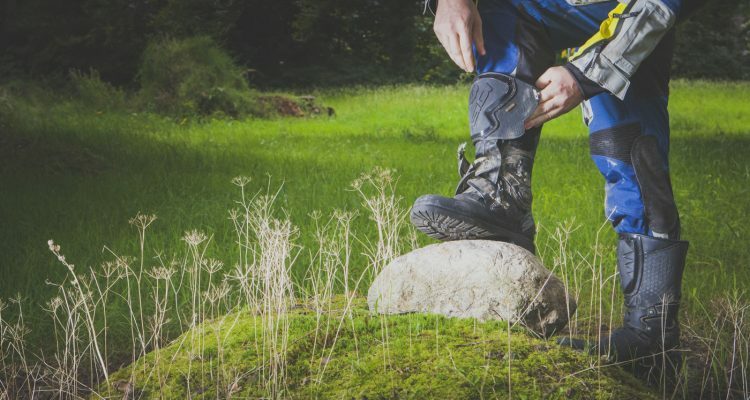 The boot closure is less well designed. The pockets are good and easy to get into. OK, so the kit leaked on one biblically wet ride after months of good behaviour; I’m not going to crucify it for that. 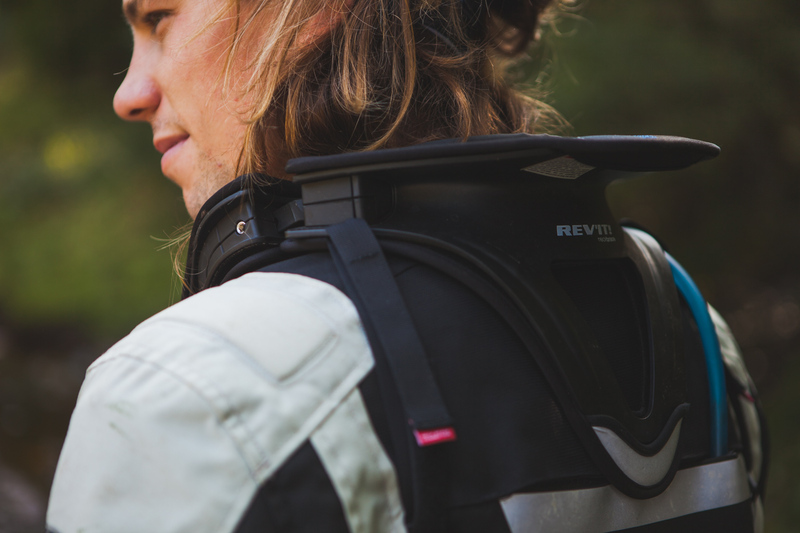 The Rev’IT Sand 2 kit is flexible, has some great features like the neck brace mount and adjustable collar and showed no significant signs of wear after being through the Brake magazine test mill. I’m impressed. I’ve never been a big fan of relying on a waterproof inner layer for anything more than light showers and this kit reaffirmed that for me. I’ll be wearing it for many miles to come, but with the waterproof layer wedged in the back of a cupboard and a decent rain jacket stashed in the back pocket. Sure, £2,000 gets you adventure kit perfection; but I’ll be happier taking selfies in my cheaper kit on the top of a Utah mountain. 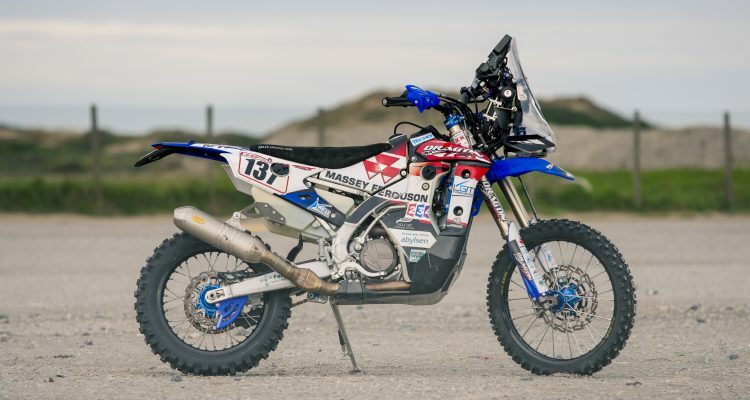 For more information on the Rev’IT Sand 2 click here. Meet Chris Northover, a man of huge skill and immense enthusiasm. He's the newest member of the Brake Test crew. 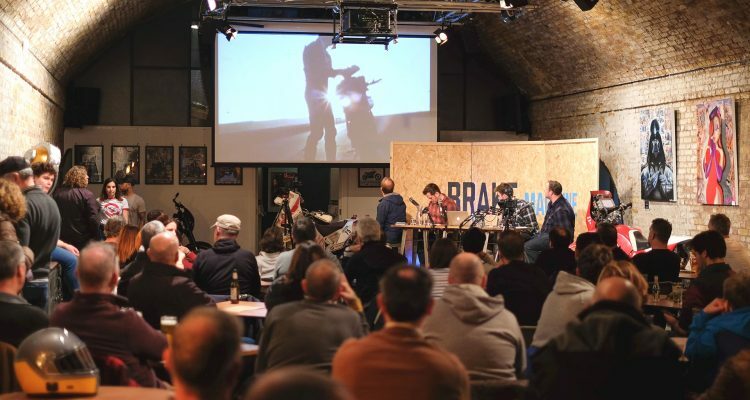 Four years as a design engineer, four as as bike journo, he's a part time stunt man and full time legend. He's also analytical and writes with flow and humour. What more does a Brake Magazine tester need? A great suit, with well thought out elements. Let down by the waterproofing. Can't zip together without the liner.